Mary Whitmore was one of those unsung heroes that helped improve the lives of many people. Mary’s work with children and the hospital guild began in 1975. Mary became part of the Children Hospital Guild in Sequim. She helped orchestrate the sending of 1000’s of blankets to the Project Linus organization that donates blankets to the Children’s Hospital in Seattle. Mary also worked as a children’s advocate to help at-risk children resolve problems and live a better life. Mary’s tremendous enjoyment of music. 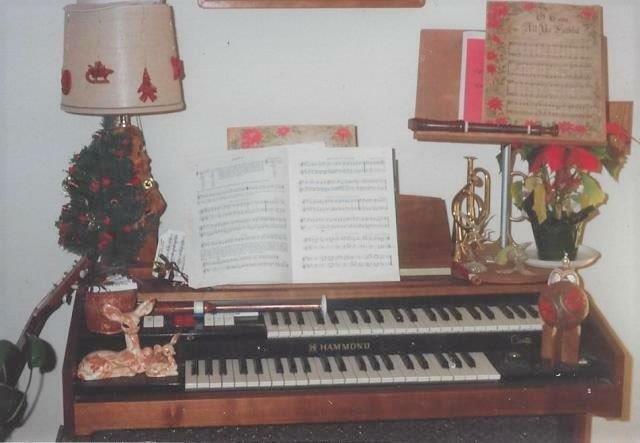 To say that Mary loved music would be a major understatement. She embraced learning not just new music but new instruments even very late in her life. She participate in the Spring chickens a beginning band to learn drumming. Mary was the key instructor teaching hand bell techniques to dozens of people. She joined my hand bell group, Bells Angels, in 2002 when the group was first formed. I knew precious little about bell ringing techniques and Mary joined to help us learn the fundamentals. I was so pleased when she stayed with us almost until her passing in 2016. She gave us 14 years of pleasure. 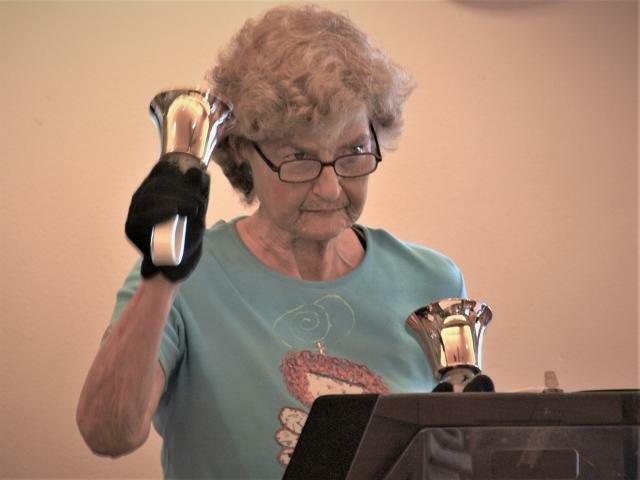 Mary also played hand bells in the Sequim Community Church and the Sequim Methodist Church. Mary was also part of the Port Townsend orchestra where she played saxophone. She played the clarinet in the Sequim City Band. When I joined the Sequim Guild of Seattle Children’s Hospital in 2007, Mary was the acting secretary. She not only did a marvelous job taking notes and reporting, but made the extra effort to make members, especially those new to the guild, feel welcome and appreciated. Mary served as chairman for our BUNCO parties which are held four times a year. At the time, BUNCO was our largest fundraiser and Mary did a mighty fine job organizing all of the details which brought in many happy players and those much needed dollars for uncompensated care at Seattle Children’s Hospital. As our guild grew, so did Mary. She volunteered for everything, whether it was manning a table, making a salad, baking a pie or pulling the duty at the annual garage/plant sale, we could always count on Mary. Mary was also a very talented musician. She volunteered her musical group to play at several of our holiday bazaar events at the Sequim Prairie Grange and entertained the local vendors and shoppers. What a treat to have such delightful music! Mary was a member of a very special group of gals called Jake’s Crew. They traveled to Seattle Children’s hospital once a month to deliver baseball caps to the little children who had cancer. This group of ladies, working on their own, raised the money for these baseball caps by their “recycling crayons projects.” The hospital staff and the little cancer patients always looked forward to their visits. Mary was a very humble woman. She really cared about those around her and never wanted credit for anything. She just went about doing all those needed volunteer things and always with a smile on her face. I don’t know if many of my guild sisters saw Mary do this, but I did ….. so many times ….. she’d place a large donation in the donation jar at each and every fundraising event. There is a special place in Heaven for Mary …… I will certainly miss her as I know all of my guild sisters will too. She was, and continues to be, a special “gem” that will glow in the hearts of those who knew her. Mary was actively involved in many different music groups. Her philosophy was from the quote Music Is Life - The Rest Is Just details. 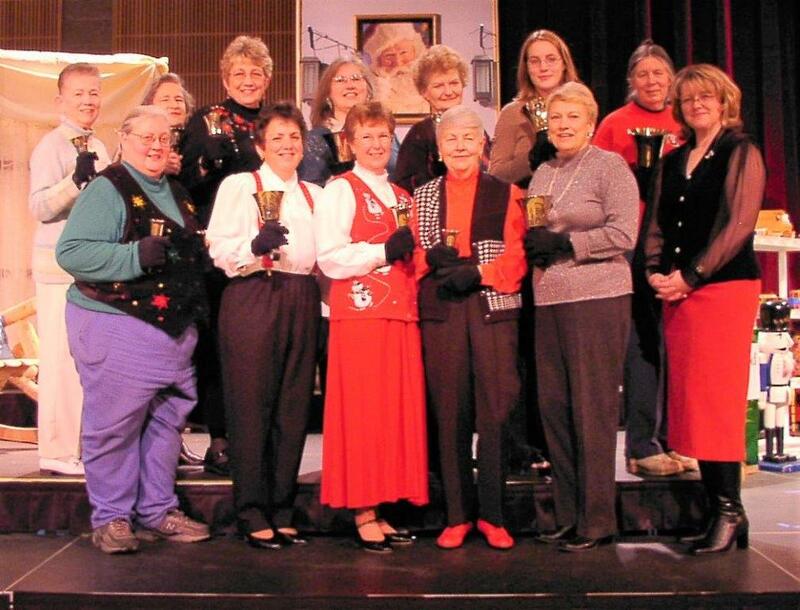 Mary was part of the Bells Angels hand bell group for over 14 years. 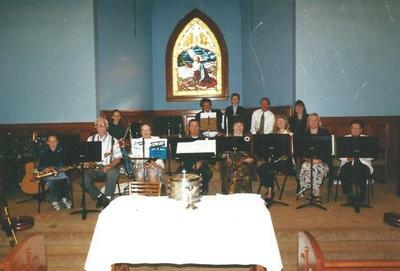 She also performed with the Sequim Community Church bell group, the Trinity United Methodist bell group, played clarinet with the Port Townsend Summer Band and the Sequim Community Orchestra. She also was part of the Spring Chickens band. Mary was multi-talented playing the drums, clarinet, saxophone, dobro, piano, hand bells, and was even learning the bag pipes. Mary's special song was "My Favorite Things."